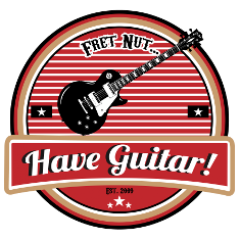 August 2018 - Fret nut... Have Guitar! Well, here is the August 2018 Kemper profile pack from Profilecrate; the Solo Rec pack! Profilecrate is a service provided by ToneJunkie – just sign up with your email adress and you will get a free Kemper profile pack every month! Easy as pie and why not join when it’s free?! The Solo Rec recreates the sound of a Mesa Boogie Single Rectifier 50. I think most of you know what to expect from an amp like this… it’s not like Mesa Boogie is an obscure brand that no-one knows abot, right? This goes from quite nice clean tone all the way up screaming gain! This pack comes with 18 profiles so if you are not signed up to Profilecrate it is high time to do it now! As said this is the August 2018 pack, so after the 31:th of August this pack is no longer free. As a bonus video, here’s a preview of ReampZone’s upcoming new Kemper profile pack – Friedman BE-100 DeLuxe Mod. This pack will be released today! Alright, time for a new take on the old Kemper Rig Showcase here at Have Guitar! I’ve joined ToneCrate.com – had my eyes on this service for a time now and well, now I decided to sign up! If you don’t know what ToneCrate is about, think of it like the Loot Crate boxes you can subscribe to – you never know what the box will contain… except that in this case it will of course be profiles for your Kemper! If you think about joining ToneCrate you should do it now… because if you do it before September 2018 you will get it for the currect price ($10/month or $99/year). The monthly price will increase to $17 from September but those who sign up for the old price will get to keep it as long as they don’t break their subscription! This has been out for a while now but I just watched it and thought I’d share it… Hendrix on a keyboard? You bet. I think it is very cool, he’s a really good keyboard player – that’s for sure! The keyboard is a Seaboard RISE 49, see a link to it below the video.